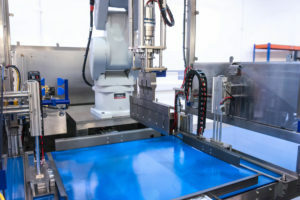 Brand New RoboSONIC Inline XL – PDI can be completed as soon as your order is placed! 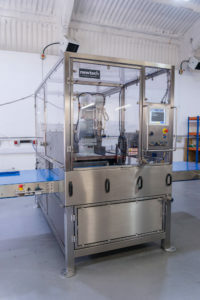 Designed to portion tray bake, round, and loaf type products and with a larger than standard 760mm blade (meaning the entire length of tray bake products can be sliced in one cut), the RoboSONIC Inline XL ultrasonic cutting machine is ideal for customers with high throughput requirements. 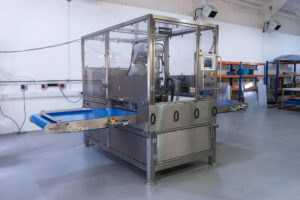 As a conveyor-based machine, it can be integrated into an existing line or used as a stand-alone solution. For more information, contact us now on +44 (0)1234 783680 or email sales@newtech-ltd.co.uk.